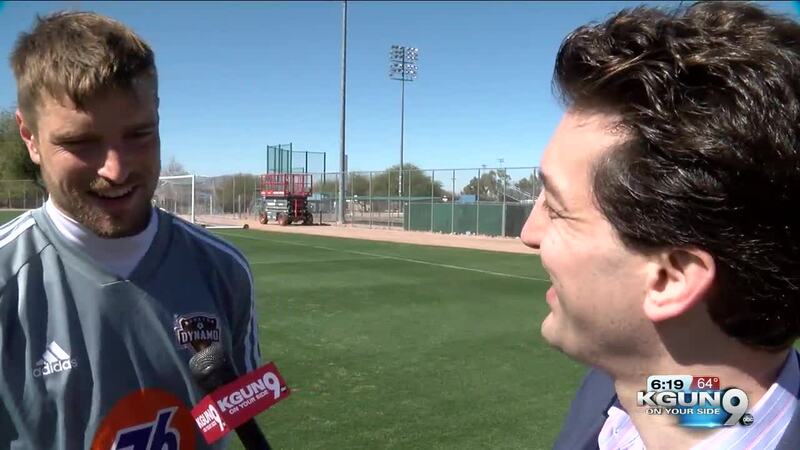 The Houston Dynamo are among the Major League Soccer teams training for the upcoming season in Tucson. The Dynamo are truly a multi-national team, with ten countries represented on their roster. We asked the players if they could name all ten! The one they forgot was Venezuela. "It's very interesting to hear stories of how everyone was raised," said goalie Tyler Deric. "It just shows how you unique everyone's journey is to how they got here." The Dynamo will play Seattle in a friendly on Saturday at Kino Staidum.